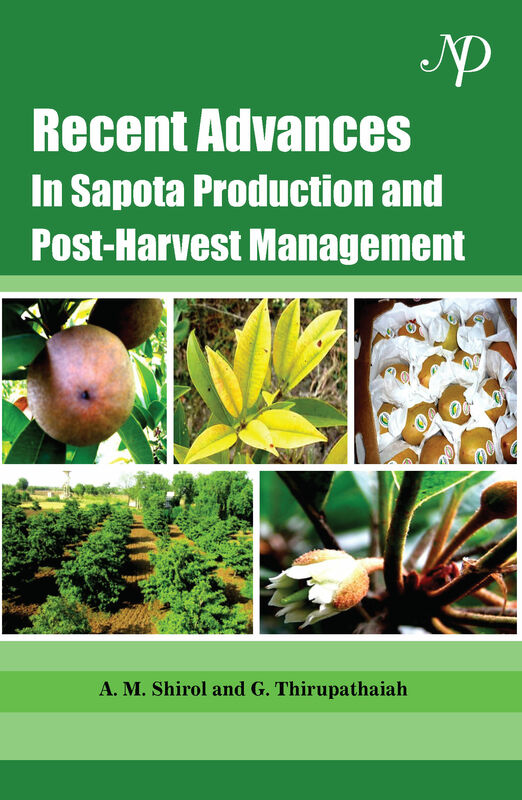 Sapota cultivation is one of most remunerative farming enterprises in India. It can be grown throughout India, which performs well even under adverse climatic conditions like moderate drought, wide temperature ranges. Now it is emerging crop against challenging climatic conditions in a profitable manner. Sapota performs well in humid tropical conditions, even though it can be cultivated in tropical and sub tropical climatic conditions. Sapota plays an important role in nutrition and livelihood security of the people across the Indian and world. In India its cultivation was started commercially in 20th century and becoming more popular because of wider adaptability to soil and climatic conditions. There have been many initiatives intensely the last five decades, which resulted in science based technologies and focused attention in improvement for sustainable production. In present scenario the declining of land and water resources, threat of biotic and abiotic stress for food and livelihood security, are the challenging for increasing population. In this context, sapota is one of the options for the livelihood security.